The City of God, home to about 60,000 residents, presents social indicators among the most critical in Rio de Janeiro. There are no secondary schools and in 2017, it was the leading territory of schools exposed to gunfire in Rio. However, the community is active in other realities that contribute to local development..
ASVI CDD has been operating for 15 years through education, culture and communication to contribute to the social development of Cidade de Deus. Courses and activities for children and adolescents in the community, strengthen the protagonism and identity for the territory. The project will train young people in community communication, focusing on the development of social-emotional abilities and individual potential. 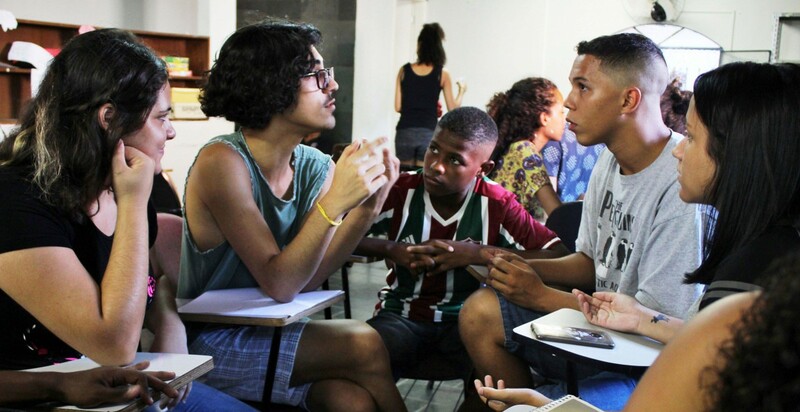 The idea is that they work within the Cidade de Deus Community Portal, which promotes a positive role for the neighborhood. This communication will be used as a promotional tool exercising democracy, citizenship and local development with the active participation of the residents. • Multiply the experience in other peripheral territories.